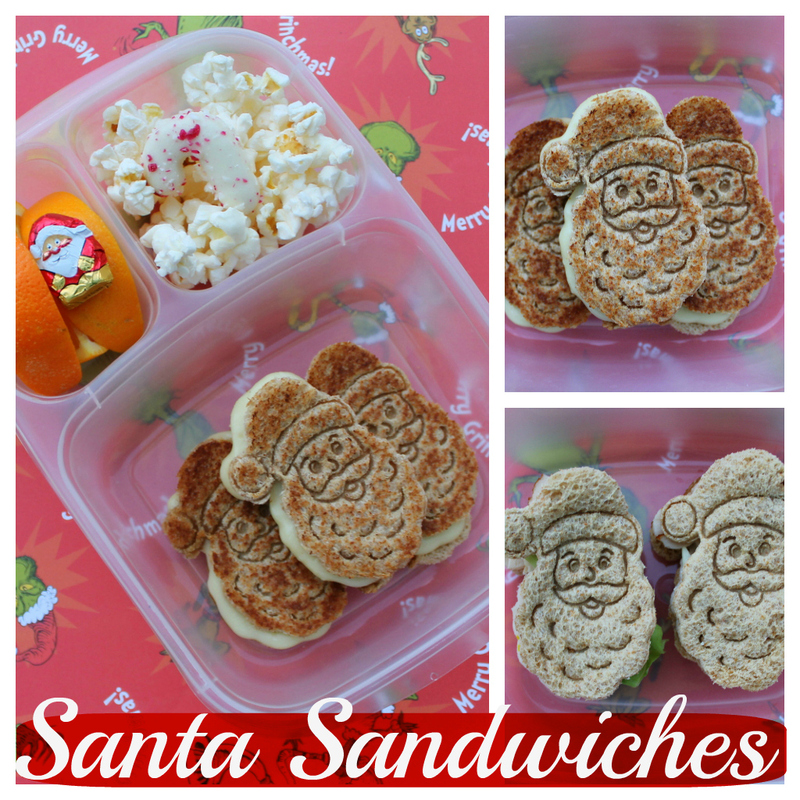 4 more days until Christmas and my kids are already so excited! 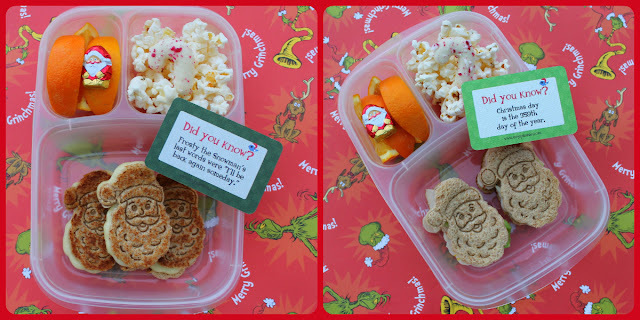 We packed Santa Grilled cheese sandwiches in our Easylunchboxes today with orange slices, popcorn and a Trader Joe's dye-free candy cane cookie and one mini chocolate Santa Claus! They are also bringing ice water and a drinkable yogurt. I also packed some more of our Christmas Lunchbox Love notes! 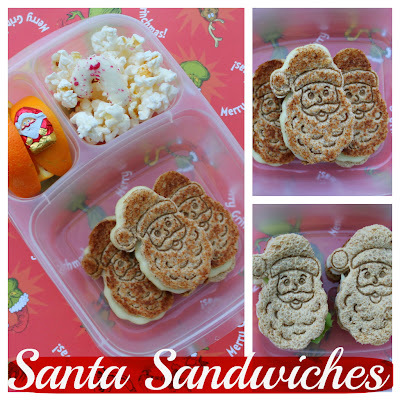 I prefer my Santa grilled!! Seriously. 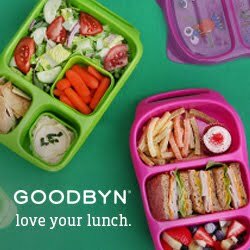 Sandwiches are just OK in my book. Grill them up...and you can count me in!! Very cute! Make sure you link up at BBN too! !